San Diego is famous for sunny beaches and incredible weather but also famous for some its outstanding attractions. 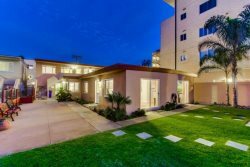 When booking with Pacific Coast Vacation Properties and staying in a San Diego Vacation Rental, keep in mind that you can book any of these attractions at a significant discount right on this website. After booking a property with Pacific Coast Vacation Properties, you will receive emails from us that describe many of the attractions we have personally experienced and that we give two thumbs up when vacationing in a San Diego Vacation Rental. LEGOLAND California is one of San Diego's premier attractions, home to more than 50 rides, shows and attractions. Located in in the northern part of San Diego called Carlsbad, LEGOLAND is the ideal day of fun for all ages while in San Diego. You might want to get a multi-day pass when visiting LEGOLAND as their is a lot to see and the young ones may get tired. Currently, LEGOLAND is featuring a Star Wars exhibit featuring all the famous character, ships, and features from the Star Wars movies. The walking paths of LEGOLAND are lined with Lego creatures of all kinds. Your child will enjoy a walk through the garden of the Enchanted Walk where they can view some of San Diego's most beloved wildlife. Kids can also get their driver's license at the Volvo Driving and Junior Driving School for the low price of $5 - don't worry, they won't get onto the highway just yet, only the driving school roads. Of course, visitors also get a chance to build with Legos at the Imaginations Zone. Build and Test allows kids to build a car out of Legos and test it for speed by competing. Relive your childhood and discover what people from all over the world already have at LEGOLAND!